It's that time of year again! BeyDays is back once again, and this year you're in for a treat! We're repeating our popular double-weekend format, so you have no excuses for being too busy to attend an event! As with previous years, each region may only organise BeyDays events during one of the two weekends. Events held on the other weekend will not be counted towards any of our BeyDays festivities! Sorry! Similar to past years, participation in WBO Organised Play events over the weekend will net you a limited edition Bit of Days IX! If you're in the area and free to join one of these events, be sure to hit the "Join Tournament" button on that tournament's thread! BeyDays events are always a blast, and you'll regret it if you pass up the opportunity to attend! New Competitive Bit: Metal God Bit! It's been a while since we've introduced a new competitive Bit, so we're taking the opportunity to do so now. Meet the Metal God Bit! As the name suggests, this Bit is based on the Metal God Chip used for God Layer System releases, and now serves as the next stage of our Bit awards for tournaments hosted, following the Metal (5 Tournaments Hosted) and MF2 Bits (10 Tournaments Hosted)! To earn this Bit, Organisers must have hosted 20 tournaments themselves, showing their dedication and commitment to Beyblade in their community! Think you're already eligible for this Bit? Or haven't been awarded the Metal or MF2 Bits yet? Let us know and we'll get these shiny Bits added for you! Come on, you didn't think we'd run an event without a BeyLotto, did you? All participants entering BeyDays tournaments are automatically entered into this crazy giveaway. Therefore, the more events you participate in, the more chances you have at winning a prize! On top of that, participation in the "#BeySelfie2018" campaign will grant you one entry in the BeyLotto as well! No matter where you are, you can have a shot at the prizes! 9th-10th: one B-111 Random Booster Vol. 10 booster! 7th-8th: B-112 Booster Hell Salamander.12.Op! 5th-6th: B-110 Starter Bloody Longinus.13.Jl! 4th: B-112 Booster Hell Salamander.12.Op & one WBO Taka or Fumi T-Shirt! 3rd: B-110 Starter Bloody Longinus.13.Jl & one WBO Taka or Fumi T-Shirt! 2nd: B-00 Duo Aeclipse.7M.U & one WBO Taka or Fumi T-Shirt! 1st: B-00 Super-Z Premium Set & one WBO Taka or Fumi Drawstring Bag! On top of that, this year once again, if you film scenes at the BeyDays tournament you attend and put the footage together for the Beyblade Channel, you'll get an extra entry in the BeyLotto! Show us the fierce competition in your community! Awesome! I will see if I can find some people, maybe I can shoot for organizing something. I imagine I will have to decide very soon to get an organizer's quiz in and looked at in time. We'll see, I guess! Whao! I didn't know this kinda thing happened. This is awesome! but I dont see any tournaments on schedule for southern or central California. Is there any way I can help put one together? and if so how? or is there one already being planned? I want to help! (May. 15, 2018 4:28 AM)BladerJo Wrote: Whao! I didn't know this kinda thing happened. This is awesome! Is there a way to enter into the BeyLotto without participating at one of these events? I can't exactly travel overseas to play Beyblades, and the only event in Melbourne might not happen on the outlined weekends. I can't host an event in Melbourne on those days as well, since my quiz hasn't been read yet. (May. 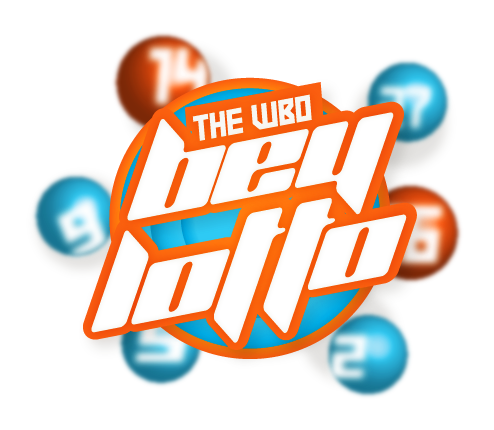 15, 2018 6:48 AM)leosama Wrote: Is there a way to enter into the BeyLotto without participating at one of these events? I can't exactly travel overseas to play Beyblades, and the only event in Melbourne might not happen on the outlined weekends. I can't host an event in Melbourne on those days as well, since my quiz hasn't been read yet. Unfortunately, there is not. It only takes four people to propose an official event once you become an Organizer! OldSchool™ and Wombat, could one of you guys review leosama's quiz? In any case, the #BeySelfie contest is open to everyone so you could still enter that! The BeySelfie contest does technically give you an entry in the BeyLotto as well! Nice! This will be an amazing event, my first beydays event too! I hope everyone had a lot of fun, I will definitely be filming some footage too! Good luck to all those that enter the beylotto! Why India is not there?! Time for BEYDAY FIRESTORM III!! Thanks WBO for your continued efforts. I hope I get Hell Salamander! (May. 15, 2018 4:02 PM)FIREFIRE CPB Wrote: Why India is not there?! (May. 15, 2018 4:08 PM)Suhasini Wrote: It is there..
Then get that proposal in! We're hardly going to say no now, are we? Hey, can you PM me the PayPal transaction details? The e-mail you used and the transaction ID. Thanks! Once I have that, I'll check.